‘White van man’ is a classic British stereotype, as much a part of the British psyche as the Scouser in a shellsuit and Yorkshiremen who look like Compo from Last of the Summer Wine. However, the typical white van driver is far from being the wild and reckless driver of legend who puts every other road user at risk. A study by IAM RoadSmart has blown apart this urban myth by showing that in fact van drivers are among the safest motorists out on the road. It showed that even though vans are the fastest-growing form of transport on Britain’s roads, the tally of accidents has been falling. 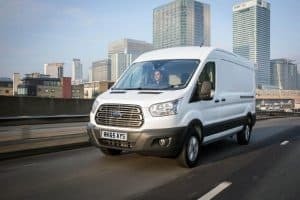 Vans and light commercial vehicles now cover 49 billion miles a year on Britain’s roads, ten billion more than a decade ago, thanks to factors such as the growth of next day delivery and internet shopping. However, the number of accidents suffered by such vehicles dropped from 15,593 in 2006 to 13,125 in 2016, with the tally of deaths from such incidents falling from 274 to 186. IAM RoadSmart suggested that the fall in the accident tally has come through an increased focus by companies on driver training, with this emphasis on improving driver skills and inculcating a sense of responsibility being crucial to firms. After all, in an age of social media the reputational damage that can occur if a firm is perceived to be unleashing a gaggle of demon drivers out on the roads can be highly significant. Another factor may be the age of vehicles, with 37 per cent of vans being less than five years old, compared with only five per cent of cars. This means less chance of wear and tear making them unreliable and accident-prone. However, one stereotype does still have some truth in it. The majority of vans themselves are still, undeniably, white. This hue accounts for 57 per cent of them, with silver a distant second at 11.4 per cent and blue third on nine per cent.